So an increase of 12 sets!! I loved seeing this today. I feel like I'm so close to being done. But laying it out has shown me that I really need to work on yellow 36-patches. A few more months and I think this should be done. How about you? Where are you on your leader/ender projects? Link up below! 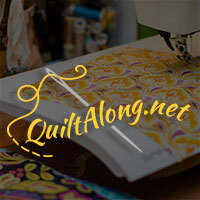 Today I'll be linking up with Quilt Story for Fabric Tuesday, Freemotion by the River for Linky Tuesday, and Blossom Heart Quilts for Sew Cute Tuesday, Main Crush Monday at Cooking Up Quilts, Patchwork Times for Design Wall Monday, Design Board Monday at Bits & Bobs, and Monday Making at Love Laugh Quilt. 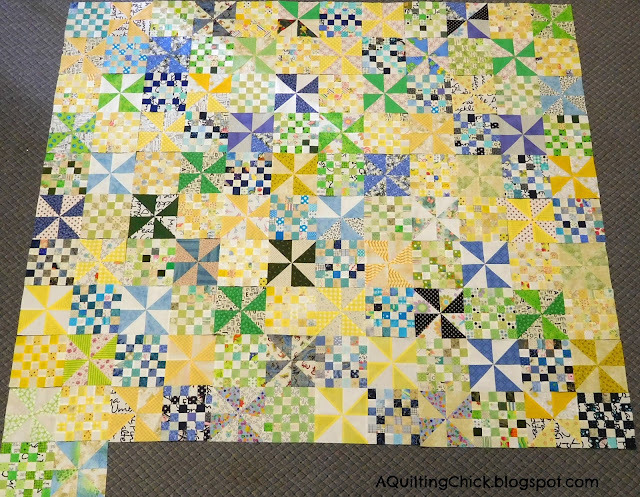 I absolutely love that quilt, so cheerful and bright! How exciting to see so much progress! I love leader-ender projects! Wow! It's been a long time since I caught an update on this one. It's really growing! Love where this is going! Congratulations on the progress of your leader ender quilt! 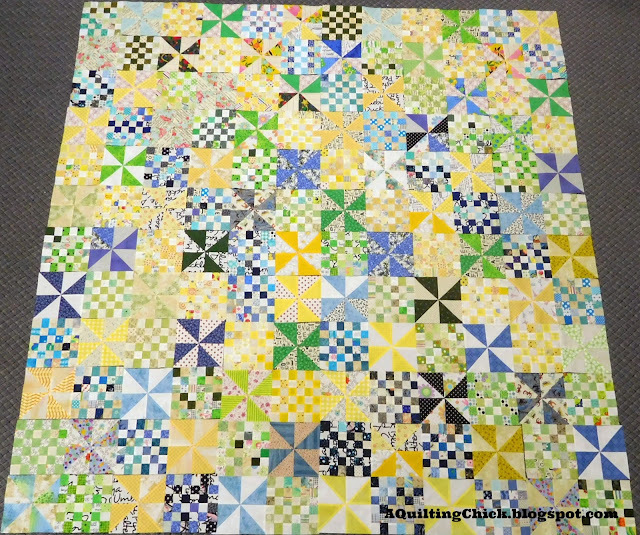 It is going to be such a lovely quilt when finished! Super project, such a nice palette of yellow and blue. Lovely! I love this quilt you are working on. Leader and ender projects are so much fun, and stress free. Enjoy our quilt time. Wow. It's like you are gonna get a free quilt at the end of this. I should be doing this as a way to make a simple row quilt. It takes a lot of sewing to get that many leader-and-ender blocks! Looking good! I haven't yet worked on a leader/ender project but I have tons of tiny triangles from my current project. I think those would be perfect to start with. I really like the color palette you used here...blue and yellow are so pretty together. How big are those 36 patch blocks? Those squares look tiny! :) Thanks for linking to Main Crush Monday; I hope you're having a crazy good week! Wow! That has really grown! I have missed some of your posts because I have been so busy with school. I'll be going back through them this weekend for some more eye candy! Patches and Pinwheels is beautiful, full of lots of spring colors.